DEFENSE BASE ACT – DEFENDING THOSE WHO DEFEND US Scott J. Bloch believes passionately in helping overseas workers and their families who have been injured in the course of helping the United States of America in the wars in Iraq and Afghanistan. His understanding comes from a core of values including having a child who has served in harms way in Iraq as well as his championing rights of services members as the chief enforcer under USERRA in the federal government from 2004 through 2008. He appeared in a recent Documentary on the plight of contractors who served in Iraq and Afghanistan and elsewhere in support of the United States governemnt’s efforts abroad, which appeared internationally on ARTE television and RT and other cable channels. See select interviews from that documentary here. Recently he filed a class action against the top government contractors for $2 billion due to abuse and fraud against injured employees worldwide under the DBA. Read more here concerning this landmark case. 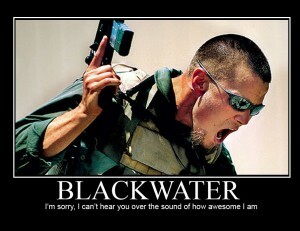 Prior to that, he filed a class action against private security contractor Xe Services, formerly called Blackwater Worldwide, for in excess of $60,000,000 for benefits and withholding taxes denied to thousands of employees who risked their lives in Iraq and Afghanistan to protect high ranking officials and dignitaries of the United States as personal security specialists many of whom were injured in the course of their employment and had no health insurance or other benefits of employees. See PRESS RELEASE Suit against Xe Blackwater concerning that unfortunate mistreatment of these brave workers. He created an entire unit to enforce the employment rights of service members, the USERRA unit. He has brought a class action against a federal agency for systemic violations of USERRA and Veterans Preference Laws, which settled last year for an undisclosed sum. In government, he brought the first ever prosecutions by a federal agency under USERRA in the statutes’ ten-year history. These were successful. 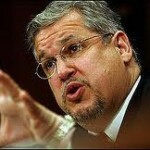 He testified before the House Veterans Affairs Committee about the abuses of employee rights. Read that testimony here at page 23 of the 108th Congress House Veterans Affairs Hearing on June 23, 2004, “Protecting Those Who Protect Us.” One dramatic example of what Bloch accomplished came when a member of the National Guard was deprived of his pension with the U.S. Department of Health and Human Services after being discriminated against because of his service to our country. Bloch got him his full benefits in a few months, after the Department of Labor put him through 7 years of run arounds and no results. Read about it here. He realizes what it means to serve your country or to help in the defense of others and to suffer illegal behavior from those you are protecting and serving. Under the Defense Base Act and Longshore and Harbor Workers Compensation Act, he has helped numerous inviduals and their families get restored benefits, rights, and dignity. He has obtained results, several over one million dollars, has taken cases deemed too hard by other DBA attorneys and has won. For too long, the defense contractors and their insurance carriers have reaped the profits from America’s actions in foreign countries, while ignoring the contribution of those brave individuals who have left home and families to support America and other countries in their need. Contact us for a free consultation. 1. What is the Defense Base Act (DBA)? The DBA is an extension of the Longshore and Harbor Workers’ Compensation Act (LHWCA) which provides disability compensation and medical benefits to employees and death benefits to eligible survivors of employees of U.S. government contractors who perform work overseas. With a few exceptions, the DBA incorporates the provisions of the LHWCA. 3. What does “public work” mean? “Public work” is defined in the Act as any fixed improvement or any project, whether or not fixed, involving construction, alteration, removal or repair for the public use of the United States or its allies. However, “public work” is not limited to construction. It includes any project or operation under service contracts and projects in connection with the national defense or with war activities. 4. Is work performed pursuant to a grant covered under the DBA? Although this issue has been addressed by a court of law in only one instance, the Department of Labor has adopted a position consistent with the decision of the U.S. Court of Appeals for the Second Circuit in University of Rochester v. Hartman (Vishniac), 618 F.2d 170 (2nd Cir. 1980), that work performed pursuant to a grant is not covered under the DBA. 5. Who administers the DBA? The U. S. Department of Labor, Office of Workers’ Compensation Programs (OWCP), Division of Longshore and Harbor Workers’ Compensation (DLHWC), administers the DBA through eleven district offices located throughout the United States. 6. Where should new Defense Base Act claims be filed? Defense Base Act claims should be filed in the Longshore District Office responsible for the geographic area where the injury or death occurred. For example, a claim arising out of injuries sustained in Iraq and Afghanistan should be filed with the New York Longshore District Office, Post Office Box 249, 201 Varick Street, Room 740, New York, NY 10014, telephone (646)264-3010, fax (646) 264-3002. A claim for an injury or death which occurred in Europe, Africa, or Central and South America should also be filed in New York. Claims based on Vietnam era Agent Orange exposure should be filed in the Honolulu District Office, U.S. Department of Labor, OWCP/DLHWC, 300 Ala Moana Blvd., Room 5-135, Post Office Box 50209, Honolulu, HI 96850, telephone (808) 541-1983, fax (808) 541-1758. 7. What types of benefits are available under the DBA? The Defense Base Act provides disability and medical benefits to covered employees injured in the course of employment and death benefits to eligible survivors of employees killed in the course of employment. Compensation for total disability is two-thirds of the employee’s average weekly earnings, up to a current maximum rate per week. Compensation is also payable for partial loss of earnings. Death benefits are paid at the rate of one-half of the employee’s average weekly earnings to a surviving spouse or one child, or two-thirds of average weekly earnings for two or more eligible survivors up to the current maximum rate of per week. The Defense Base Act also incorporates the LHWCA’s provision for payment of reasonable funeral expenses not exceeding $3,000.00. Permanent total disability and death benefits may be payable for life, and are subject to annual cost of living adjustments. The LHWCA minimum benefits rate, however, does not apply to DBA claims. The injured employee is also entitled to medical treatment by a physician of his/her choice, as the injury may require. Cases involving aliens and non-U.S. residents can be resolved by commuting benefits paid for permanent disability and death. In such cases, a one-time lump sum payment may be issued by the employer/carrier representing half of the present value of future compensation as determined by the OWCP district director. Medical benefits may not be commuted. 9. What should I do if I get injured at work? You should notify your employer immediately. If you need medical treatment, ask your employer to authorize treatment by a doctor of your choice. 10. How do I obtain medical treatment for my injuries? If you need medical treatment for your work injury, ask your employer to authorize treatment by a doctor of your choice. If it is an emergency or if you are unable to contact your employer, go to the nearest hospital or physician, but be sure to let your employer know as soon as possible. 11. How do I obtain compensation for my disability? If you are disabled more than 3 days, contact your employer or the insurance company for payment of compensation, which is payable 14 days after your employer has knowledge of injury. 12. How do I give notice of my injury to my employer? Give written notice of your injury to your employer on Form LS-201 (Notice of Employee’s Injury or Death) within 30 days. Additional time is provided for certain hearing loss and occupational disease claims. 13. How do I file a claim for compensation based on my injury? File a written claim for compensation with the OWCP district office having jurisdiction of your claim on Form LS-203 (Employee’s Claim for Compensation) within one year after the date of injury or last payment of compensation, whichever is later. The time for filing claims in certain occupational disease cases has been extended to two years. 14. How do I obtain death benefits? Give written notice of the employee’s death to the employer on Form LS-201 (Notice of Employee’s Injury or Death) within 30 days. File a written claim for compensation on Form LS-262 (Claim for Death Benefits) with the OWCP district office having jurisdiction of your claim within one year after the date of the employee’s death. 15. What should an employer do upon notice of an employee’s injury? The employer should notify its insurance carrier or, if it is self insured, its claims administrator, as soon as it has knowledge of an injury. Medical treatment, if needed, should be authorized immediately. An Employer’s First Report of Injury, Form LS-202, must be filed with the OWCP district office having jurisdiction within 10 days of the injury if it causes loss of one or more work shifts. The Form LS-202 may be filed electronically. View information and instructions here. Additional forms and notices, as well as medical reports, should be filed with the OWCP as regulations require. 16. What services do the OWCP district offices provide? The OWCP district office monitors the payment of compensation and medical care to ensure compliance with the provisions of the Act. The district office staff also provides technical assistance to employers, insurance carriers, and claimants for the prompt delivery of benefits. In case of claim disputes, district office claims examiners conduct informal conferences to help the parties resolve their disputes by way of mutual agreement or compromise without formal litigation. The district director has authority to approve settlements and issue compensation awards in undisputed claims. 17. What if the parties to the claim are unable to resolve their dispute(s) informally? If the parties are unable to resolve their dispute(s) informally, they may request referral of the claim to the Office of Administrative Law Judges (OALJ) for formal hearing. Decisions rendered by the administrative law judge may be appealed to the Benefits Review Board and thereafter, depending on where the claim is administered, to the U.S. District Court or to the U.S. Court of Appeals. 18. Must an employer acquire DBA coverage for foreign nationals? Yes. Benefits under the DBA are payable regardless of nationality. Therefore, employers should secure insurance coverage for all of their employees working outside the United States under a U.S. government contract, including U.S. citizens and residents, host country nationals (local hires), and third country nationals (hired from another country to perform work in the host country). If you have a DBA case, please use our contact form to get in touch.